Cserni, G., I. Amendoeira, S. Bianchi, E. Chmielik, J. Degaetano, D. Faverly, P. Figueiredo, M. P. Foschini, D. Grabau, J. Jacquemier, H. Kaya, J. Kulka, M. Lacerda, I. Liepniece-Karele, J. M. Penuela, C. Quinn, P. Regitnig, A. Reiner-Concin, A. Sapino, P. J. van Diest, Z. Varga, V. Vezzosi, J. Wesseling, V. Zolota, E. Zozaya and C. A. Wells (2011). Eur J Cancer 47(6): 887-894. 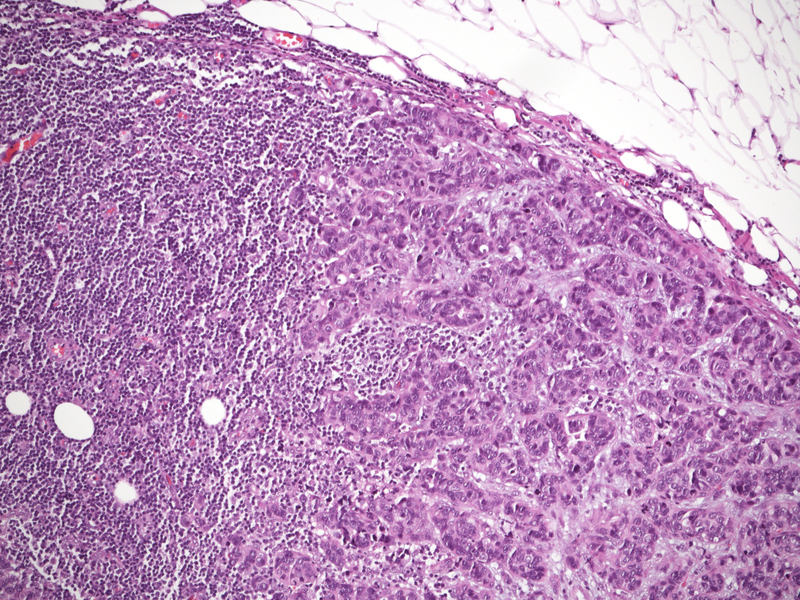 Isolated tumour cells and micrometastases represent two different staging categories and are often dealt with differently when identified in sentinel lymph nodes of breast cancer patients. The reproducibility of these categories was found to be suboptimal in several studies. The new edition of the TNM (Tumour Node Metastasis) is expected to improve the reproducibility of these categories. 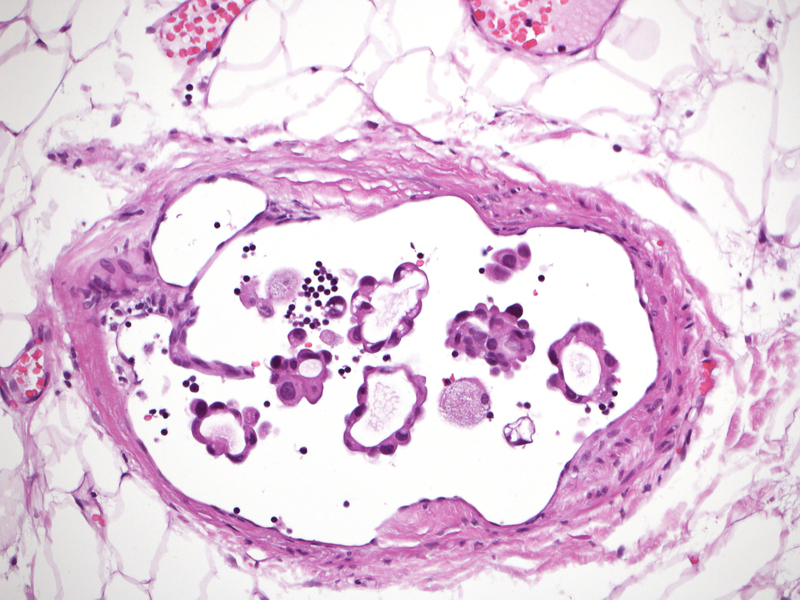 Fifty cases of possible low-volume nodal involvement were represented by one to four digital images and were analysed by members of the European Working Group for Breast Screening Pathology (EWGBSP). The kappa value for interobserver agreement of the pN (TNM) staging categories and of the isolated tumour cells category were 0.55 and 0.56 reflecting moderate reproducibility, and the kappa of the micrometastatic category (0.62) reflected substantial reproducibility. This is an improvement over the results gained on the basis of the previous edition of the TNM. Maximal adherence to the category definitions supplemented by explanatory texts in the staging manual should result in more homogeneous nodal staging of breast cancer. Pathology update. Quality assurance guidelines for pathology. 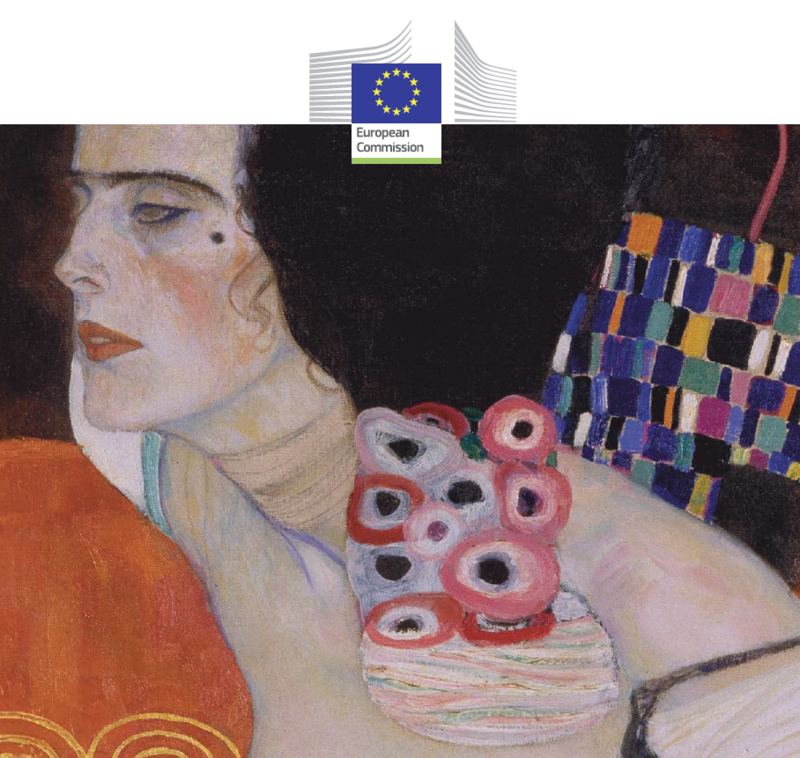 In: European guidelines for quality assurance in breast cancer screening and diagnosis, Supplements. Wells, C. A., A. I, J. P. Bellocq, S. Bianchi, W. Boecker, B. Borisch, B. Bruun Rasmussen, G. M. Callagy, C. E., A. Cordoba, G. Cserni, T. Decker, J. DeGaetano, M. Drijkoningen, I. O. Ellis, D. R. Faverly, M. P. Foschini, S. Frković-Grazio, D. Grabau, P. Heikkilä, E. Iacovou, J. Jacquemier, H. Kaya, J. Kulka, M. Lacerda, I. Liepniece-Karele, J. Martinez-Penuela, C. M. Quinn, F. Rank, P. Regitnig, A. Reiner, A. Sapino, T. Tot, P. J. Van Diest, Z. Varga, J. Wesseling, V. Zolota and E. Zozaya-Alvarez (2013). Perry, M. Broeders, C. de Wolf et al. Luxembourg, European Commission, Office for Official Publications of the European Union. Cserni, G., A. Voros, I. Liepniece-Karele, S. Bianchi, V. Vezzosi, D. Grabau, A. Sapino, I. Castellano, P. Regitnig, M. P. Foschini, V. Zolota, Z. Varga, P. Figueiredo, T. Decker, C. Focke, J. Kulka, H. Kaya, A. Reiner-Concin, I. Amendoeira, G. Callagy, E. Caffrey, J. Wesseling and C. Wells (2014). 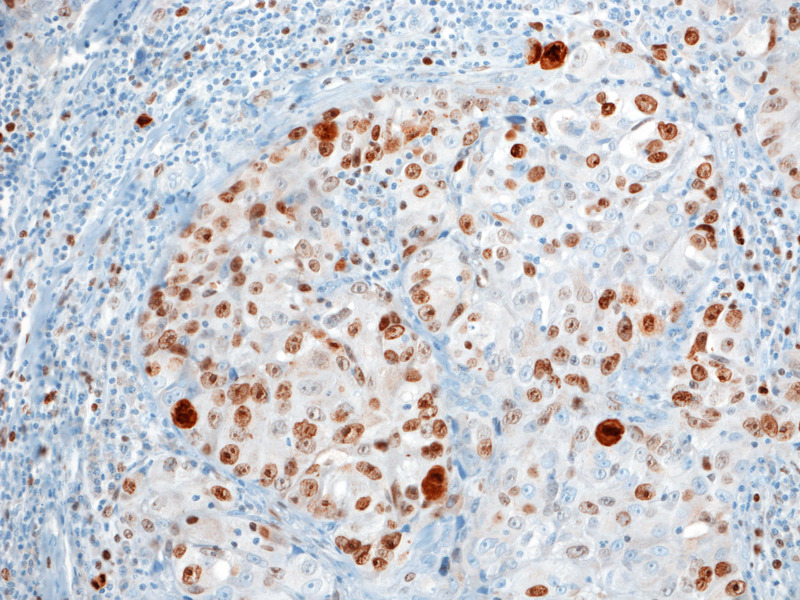 The Ki67 labelling index (LI – proportion of staining cells) is widely used to reflect proliferation in breast carcinomas. Several cut-off values have been suggested to distinguish between tumours with low and high proliferative activity. The aim of the current study was to evaluate the distribution of Ki67 LIs in breast carcinomas diagnosed at different institutions by different pathologists using the method reflecting their daily practice. Pathologists using Ki67 were asked to provide data (including the LI, type of the specimen, receptor status, grade) on 100 consecutively stained cases, as well as details of their evaluation. A full dataset of 1709 carcinomas was collected from 19 departments. The median Ki67 LI was 17% for all tumours and 14% for oestrogen receptor-positive and HER2-negative carcinomas. Tumours with higher mitotic counts were associated with higher Ki67 LIs. Ki67 LIs tended to cluster around values ending with 5 or 0 both in cases where the values were obtained by counting the proportion of stained tumour cell nuclei and those where the values were obtained by estimation. On the basis of the distribution pattern described, some currently used Ki67 LI cut off values are not realistic, and it is proposed to select more realistic values ending with 0 or 5. Balmativola, D., C. Marchio, M. Maule, L. Chiusa, L. Annaratone, F. Maletta, F. Montemurro, J. Kulka, P. Figueiredo, Z. Varga, I. Liepniece-Karele, G. Cserni, E. Arkoumani, I. Amendoeira, G. Callagy, A. Reiner-Concin, A. Cordoba, S. Bianchi, T. Decker, D. Glaser, C. Focke, P. van Diest, D. Grabau, E. Lips, J. Wesseling, R. Arisio, E. Medico, C. Wells and A. Sapino (2014). Breast Cancer Res Treat 148(3): 511-523. To identify markers of non-response to neoadjuvant chemotherapy (NAC) that could be used in the adjuvant setting. Sixteen pathologists of the European Working Group for Breast Screening Pathology reviewed the core biopsies of breast cancers treated with NAC and recorded the clinico-pathological findings (histological type and grade; estrogen, progesterone receptors, and HER2 status; Ki67; mitotic count; tumor-infiltrating lymphocytes; necrosis) and data regarding the pathological response in corresponding surgical resection specimens. Analyses were carried out in a cohort of 490 cases by comparing the groups of patients showing pathological complete response (pCR) and partial response (pPR) with the group of non-responders (pathological non-response: pNR). Among other parameters, the lobular histotype and the absence of inflammation were significantly more common in pNR (p < 0.001). By ROC curve analyses, cut-off values of 9 mitosis/2 mm(2) and 18% of Ki67-positive cells best discriminated the pNR and pCR + pPR categories (p = 0.018 and < 0.001, respectively). By multivariable analysis, only the cut-off value of 9 mitosis discriminated the different response categories (p = 0.036) in the entire cohort. In the Luminal B/HER2- subgroup, a mitotic count <9, although not statistically significant, showed an OR of 2.7 of pNR. A lobular histotype and the absence of inflammation were independent predictors of pNR (p = 0.024 and <0.001, respectively). Classical morphological parameters, such as lobular histotype and inflammation, confirmed their predictive value in response to NAC, particularly in the Luminal B/HER2- subgroup, which is a challenging breast cancer subtype from a therapeutic point of view. Mitotic count could represent an additional marker but has a poor positive predictive value.